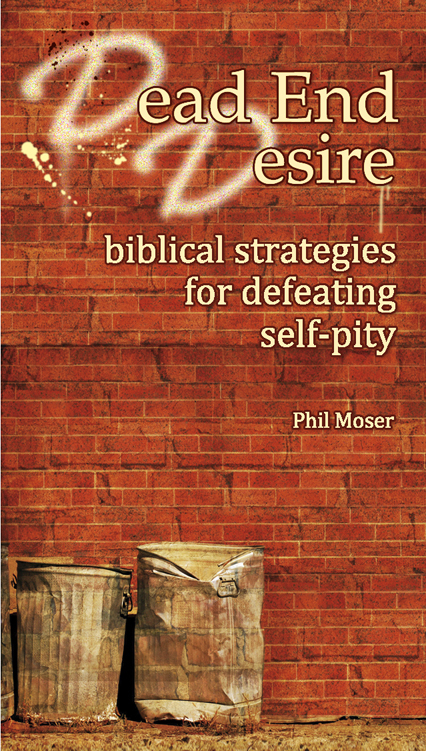 Taken from Dead-End Desire: biblical strategies for overcoming self-pity. 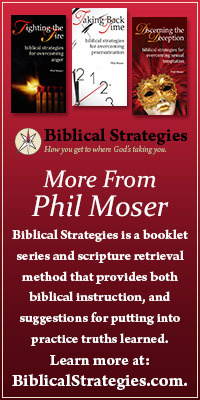 Available at Christian retailers, Amazon.com and the biblical strategies website (biblicalstrategies.com). Did they just say they remembered eating for free? Talk about revisionist history. Were they not the slaves of Egyptian tyrants for 420 years? Weren’t the final years in Egypt unbearably difficult? How could they forget how bad their past was? The same way they forgot how good God was. Their memory was selective. We learn a valuable lesson from the Israelites, easily missed in the first reading: our desires generate selective memories. Like an intentional case of Alzheimer’s, we choose to leave things out of the story so that we might get what we want. In this case, the Israelites wanted meat instead of manna. That, in and of itself, would not have been sinful, except that God was the one serving up the manna. Furthermore, God had a far greater lesson he wanted them to learn when they hungered in the wilderness. Moses points to it nearly 40 years later when he instructed the next generation. And you shall remember the whole way that the LORD your God has led you . . . testing you to know what was in your heart. […] And he humbled you and let you hunger and fed you with manna, which you did not know, nor did your fathers know, that he might make you know that man does not live by bread alone, but man lives by every word that comes from the mouth of the LORD. God wanted them to turn to him when they were hungry. He was the provider of every good and perfect gift. In God alone they would find their fulfillment, but the Israelites were convinced that a good steak would suffice. The purpose of our circumstances (especially the difficult ones) is always greater dependence on the Lord. The people assumed that their less than desirable circumstances were cause to complain. Actually, they were an opportunity to depend more fully on God. Perhaps you’re shaking your head in disbelief, unable to understand how the Israelites were never able to grasp this truth. Careful. They weren’t the only ones to struggle with a selective memory. I know that same struggle, and I bet you do too. We get so focused on what we don’t have, that it’s easy to forget what we do have. If I promised you the thing you really wanted right now, you might be willing to tweak your past a bit to get it. Just like the Israelites, our desires rewrite the events of our past. We too, can fall prey to a selective memory. This past year my wife Kym started keeping a diary of the ways God had worked on our behalf. As the kids chimed in around the dinner table one night, I suddenly realized that I had already forgotten some of the things that I had praised God for just a few months earlier (go to page 61 to start your own praise journal). Selective memory is like a scalpel, cutting out your recollection of God’s work in your past. Once you’ve begun to forget, a complaining spirit isn’t far behind. This entry was posted in Biblical Strategies, self-pity, Uncategorized. Just finished reading Dead-End Desire. Would like to share it with others. A quick read and very well written. Thanks Jeanie. Feel free to pass it on. It became available yesterday at Amazon.com, so you can encourage others to order it there. Also if you would be willing to write a brief review at Amazon that’s always very helpful. Safe in the Storm: biblical strategies for overcoming anxiety comes in today, and should be available on Amazon in a week or two.